Throwing a sweet dreams pajama party? 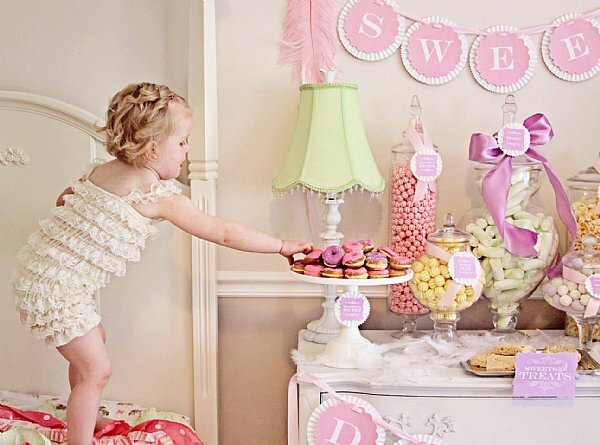 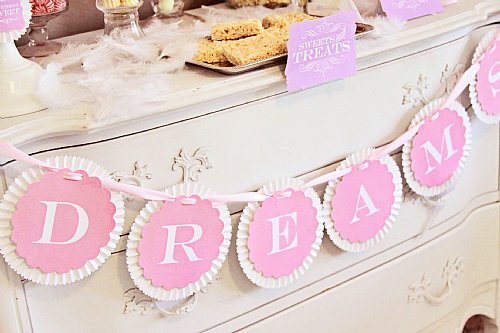 This adorable rosette banner with keep her dreaming of the fun she had long after the party is over! 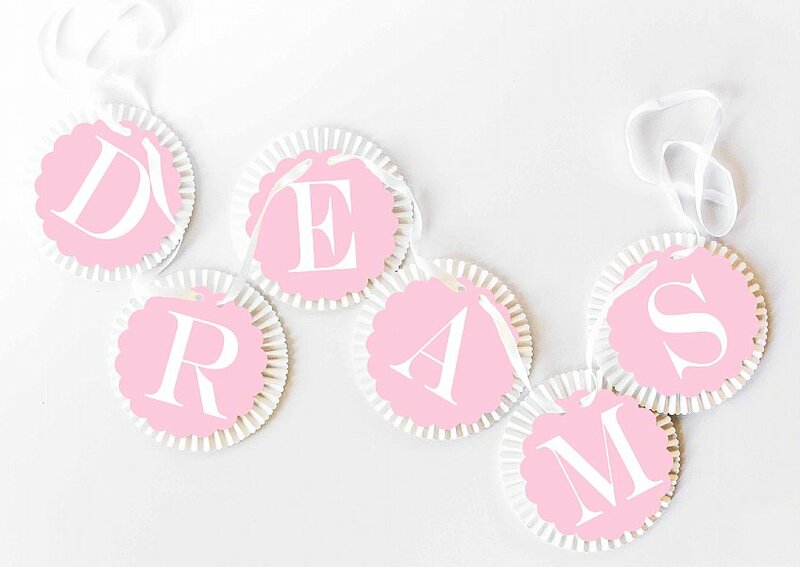 The rosette banner is professionally printed on 5.25" pink scalloped medallions and adhered to 6.5" heavy luxurious white rosettes. 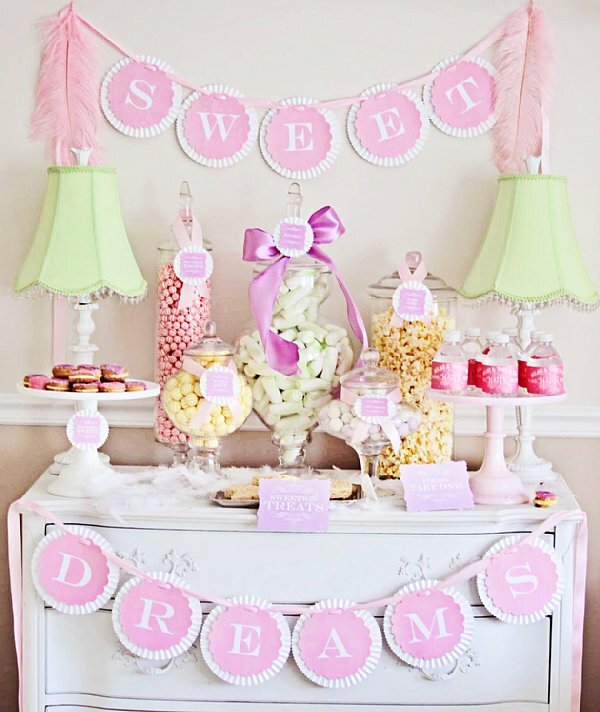 The standard banner reads "SWEET DREAMS", or personalize it with her name or a word of your choice - up to ten (10) characters.